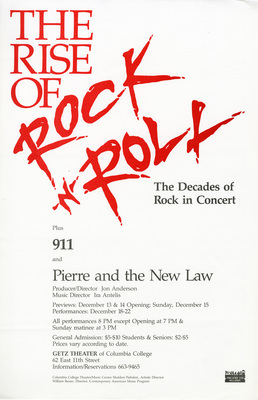 Plus 911 and Pierre and the New Law. Produced and directed by Jon Anderson. Musical directio by Ira Antelis. Getz Theater.